Under the agreement, the two parties will “terminate the previous investment contract, withdraw and waive all litigation and arbitration proceedings, and release all security including the asset preservation pledge and equity financing rights,” Faraday said in a statement. It certainly wasn’t supposed to go this way when, three years ago, the start-up held its first splashy news conference at the Consumer Electronics Show in Las Vegas. Faraday showed off a flashy supercar as it announced a goal of getting into production by late 2018. 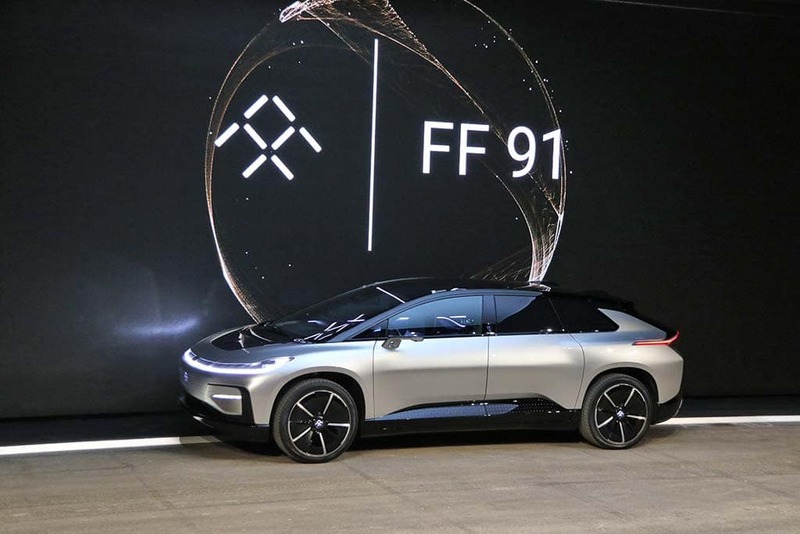 A year later, the company returned to CES, this time with the FF91, the model it said it actually planned to build. Soon, the company was breaking ground on a plant site just outside Las Vegas, and making grand predictions about the future where it would serve as a “new species” of carmaker. Then the floor collapsed. The company’s original primary investor, Chinese tech billionaire Jia Yueting, ran into a series of financial setbacks that caused him to pull back from both Faraday and another EV start-up, LeEco. Faraday was forced to cancel plans for the Nevada factory, though it soon acquired an existing facility in Central California. The remaining Faraday management team denied that claim and continued pushing forward, even as they took Evergrande to court in Hong Kong. But, by late November, the cash coffers were so bare Faraday had to lay off the majority of its remaining workers and ask the rest for sharp pay cuts. 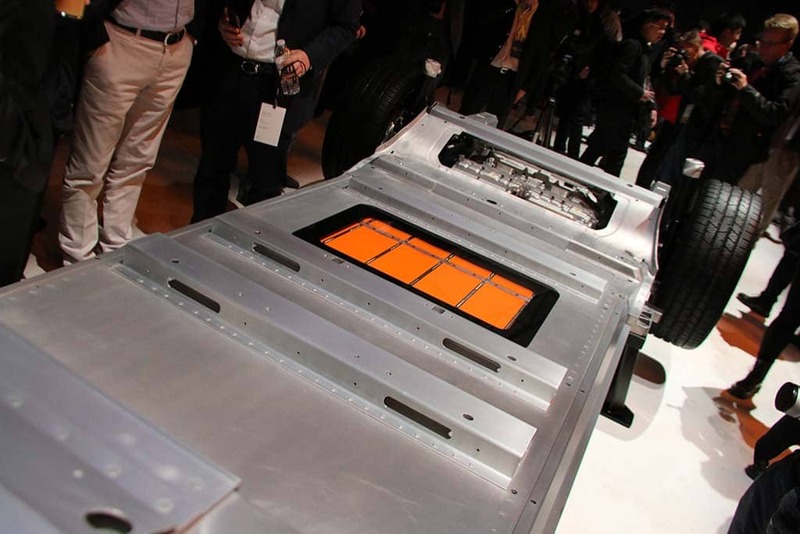 The FF91's battery platform, with one of its two motors visible in the rear. 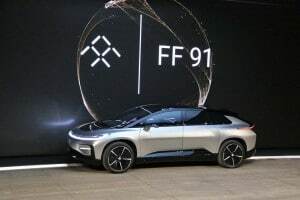 The company insists it has continued working on the FF91 and says it has a number of pre-production prototypes ready. But it far from certain when – indeed, if – it will be able to get into production at its new plant in Hanford, California. The latest schedule calls for that to begin by early this year but there doesn’t appear to be enough cash and Faraday has had problems with suppliers that would likely limit their willingness to ship parts and component, sources have told TheDetroitBureau.com, until they are assured of being able to get paid. 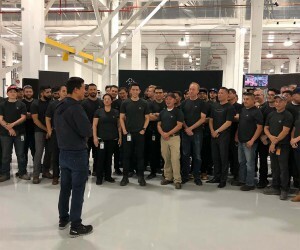 Under the new agreement, Evergrande will still hold a 32% stake in Faraday Future, but the carmaker will have to go looking for new investors. Who might be willing to come onboard considering its history is far from certain. Faraday also has to rebuild its staffing from top to bottom. Of its founders only Yueting remains linked to the company. Meanwhile, many of the rank-and-file, from engineers to workers at the Hanaford plant, have reportedly gone looking elsewhere. How many will return once they can be assured of getting paid is up in the air, as well. This entry was posted on Monday, January 7th, 2019 at and is filed under Asia Pacific, Auto Shows, Automakers, Automobiles, Business, CES, China, EVs, Electrified Vehicles, Europe, Executives, Faraday Future, Funding, Investors, Markets, NAFTA, Personalities, Sales, South America, Technology, U.S./North America. You can follow any responses to this entry through the RSS 2.0 feed. Both comments and pings are currently closed.